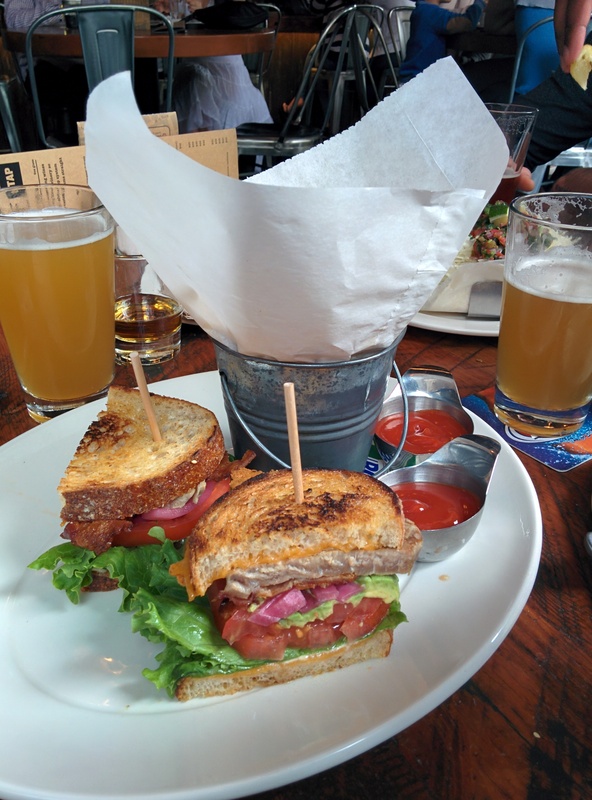 The local in liberty village is a usual of mine, whether a beer after work on a weekday, a fall back for brunch on a Sunday or a place to start on a Friday; it’s always a good time, coupled with the ambiance and welcoming nature of the staff which simply add to the appeal. Over the last two weeks I think it’s safe to say we’ve ordered around half the menu. From the starters we worked our way down starting with the Tuna Poke, the Fully Loaded Nachos, the Fish and Chicken Tacos and the Pulled Pork Poutine, out of the Small share plates, the Crispy Calamari and the Banh mi style Jerk Chicken Sandwich. 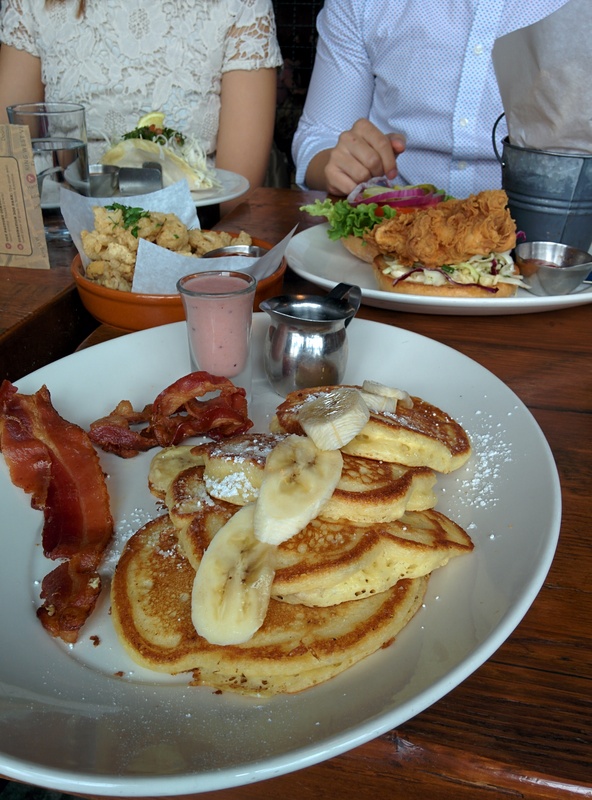 Lastly, out of the rest of the menu, the Tuna Club Sandwich, Crispy Chicken Sandwich and the Banana Pancakes, and I know what you’re thinking it’s a ridiculous amount of food, are you insane, why would you eat so much, etc. etc. Before you judge it was over 2 sittings and there were four of us so it’s not as ridiculous as it sounds. The Tuna Club and Crispy Chicken were my personal highlights; the tuna was seared, toasted and layered perfectly while the chicken was unbelievably crispy while being perfectly moist. The Calamari was good, crispy, not too oily and light while the poutine was deliciously heavy, it had pulled pork, curds and the gravy had the slightest hint of ginger which was refreshing but the thick cut fries were finished so we had the French fries, I don’t think they did the dish complete justice. The two tacos and the sandwich were great starters, my only complaint were too much salad on top of the tacos while the sandwiches bread to filling ratio was a little soft. The complaints ended there with the flavor, texture and quality of the food being standout. Lastly, the nachos, tuna poke and banana pancakes. The Local, make it yours. 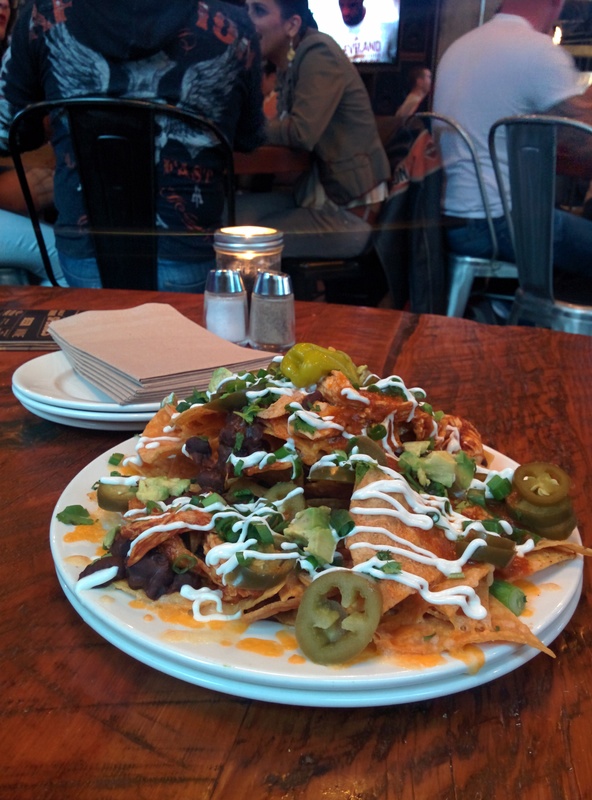 Posted on July 25, 2015 October 13, 2015 by AdrielPosted in Canada, SteakLESS, TorontoTagged Canada, fried chicken, Nachos, Poutine, Tacos, Toronto, Tuna Club.